One of our favourite galaxy hoodies. 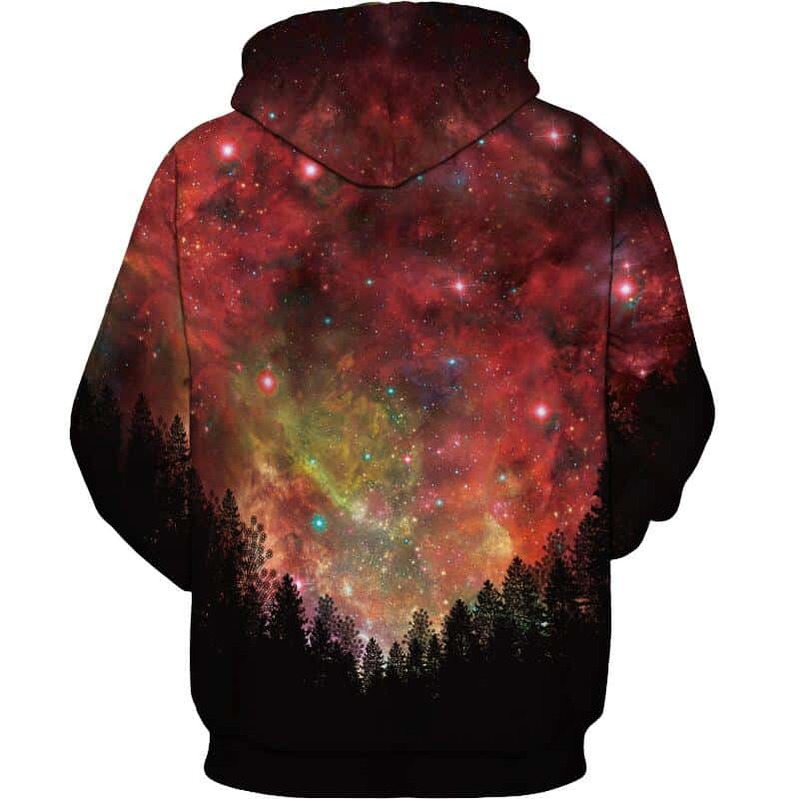 This Red Galaxy Hoodie looks great due to the colors and the print. 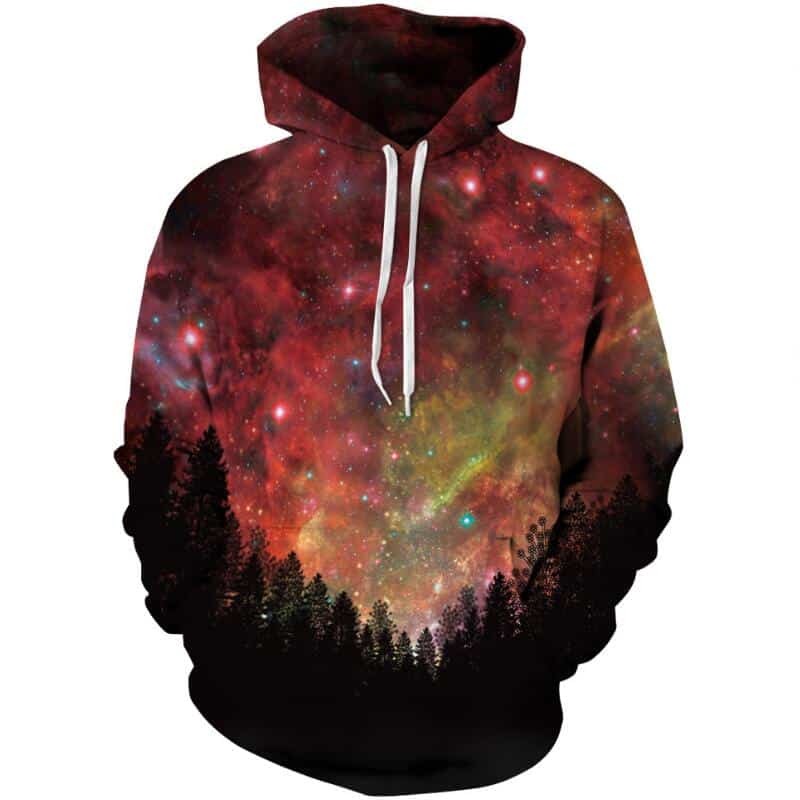 It features various different shades of red with shaded out trees at the bottom of the hoodie. You don’t need to be a space fan to enjoy this hoodie. The hoodie is comfortable to wear, looks fashionable and is wearable anywhere. It was designed for both male and female.